Posted by rogerhollander in Criminal Justice, Drugs, Health, Laols, Uncategorized. Roger’s note: what a surprise, the pharmaceutical industry putting profit over human need. I’m shocked. “On the federal level, we really need to say it is a legal drug you can access if you need it,” she said. Gillibrand, in an appearance on Good Day New York on Friday morning, was responding to a question about whether marijuana is a “gateway drug” that leads people to try more dangerous substances. Legalization advocates have long speculated that “Big Pharma” is working behind the scenes to maintain cannabis prohibition. And in 2016, Insys Therapeutics, which makes products containing fentanyl and other opioids, as well as a synthetic version of the cannabinoid THC, donated half a million dollars to help defeat a marijuana legalization measure that appeared on Arizona’s ballot that year. Numerous studies have shown that legal marijuana access is associated with reduced opioid overdose rates. “Marijuana is a far less addictive substance than opioids and the potential for overdosing is nearly zero,” the researchers wrote in the Journal of Health Economics. Last week, Gillibrand became the second cosponsor of far-reaching Senate legislation to remove marijuana from the Controlled Substances Act and withhold federal funding from states that have racially disproportionate enforcement of cannabis laws. Gillibrand is also a sponsor of far-reaching medical cannabis legislation and recently signed a letter calling for new protections for state marijuana laws to be inserted into federal spending legislation. Many political observers have speculated that Gillibrand will run for her party’s presidential nomination in 2020. She and at least two other potential Democratic contenders have already endorsed marijuana legalization. Tom Angell publishes Marijuana Moment news and founded the nonprofit Marijuana Majority. Follow Tom on Twitterfor breaking news and subscribe to his daily newsletter. Posted by rogerhollander in Ecuador, Health, Latin America, Uncategorized. Reflection 1) For many years now my mantra has been: no more voting for the “lesser of evils.” I have dual U.S / Canadian citizenship, and in North American elections I vote Green, but with no illusions that if the Greens ever came to power they wouldn’t act any different than than the existing major parties. We’ve seen this time and time again where Social Democratic parties that call themselves Socialists form governments, they soon don’t smell any different than the others. Why is this inevitable? Because governments of capitalist democracies are basically there to protect the interests of capital over people; and the parties that win elections are basically tasked with administrating those interests. Anything different would be, in fact, revolutionary. Fidel Castro understood this, which is why the Cuban Revolution didn’t devolve into wishy-washy social democracy. So my Green vote is basically a protest vote. But I digress. Back to the lesser of evils. As a Canadian / American it has become painfully obvious over many decades of observation and participation that when it comes to the big ticket items (military, finance, commerce, labor, etc.) there really is no substantial difference between the established parties. The Democrats in the U.S. and the New Democrats in Canada can only attempt to create the illusion that there is indeed such a difference. Well I suppose mantras are made to be broken. Because the minute Trump was elected (no, the mini-second), which I never believed could happen, I was sorry I hadn’t voted for Clinton (whose policies on major issues I detest). The lesser of evils. Which brings me to Ecuador. Sunday’s presidential election pitted the government supported candidate against a far right ex-banker (which the former won with a slim two percent advantage). While I do not support the Correa government’s actions with respect to environmental protection (its expansion of oil and metal extraction in sensitive areas) or its aggressive repression of protest; unlike any government before it, going back to the end of the dictatorship in 1979, it has invested heavily in health, education, housing and infrastructure and considerably reduced the level of poverty in the country. On the other hand, the election of the ultra-right ex-banker Guillermo Lasso, who has ties with rightest governments across the hemisphere, the quasi-facist Opus Dei, and almost certainly our friendly CIA, would have signalled a return to the neo-Liberal economic policies so inimical to workers and the poor. The Lasso campaign played on the manufactured-in-the-USA fear that electing the government candidate would be turning Ecuador into Venezuela. If I had a vote in Ecuador it would have been for the government candidate, so much for my mantra. The name of the president-elect, by the way, is Lenin Moreno (I would have preferred Vladimir, but you take what you can get). Reflection 2) My friend, David, who is a professor at a state university in the States, vacations every year in the Galapagos Islands, which is a province of Ecuador. This year, a week prior to his scheduled return home, he had a nasty bike accident and seriously injured his leg. He was carried back to his hotel, where he remained bed-ridden and unable to stand up. This was on the distant and less populated island of Isabella, which has a small under-supplied medical clinic and one doctor, who examined David and thought there might be a fracture. David was hoping that it was only severe ligament or muscle damage that would ease up in days so that he could rest up and return home on schedule. On the Sunday prior to his scheduled departure on Tuesday, things still didn’t look good. The doctor suggested that they get him to the central island of Santa Cruz, where there is a hospital with an X-ray facility. The idea was that if there were no fracture, he could fly home Tuesday on schedule; but if it was serious, then he would probably have to remain in Ecuador for surgery. On Monday, David flew to Santa Cruz, where his X-ray showed that he had indeed fractured his femur. However, in spite of this finding, David decided he would tough it out and fly home the following day loaded up with pain killers and have his operation in the States. This he did and is now resting post-surgery in a New Jersey hospital. The point of my story? Here are the medical services that David received. The doctor who attended him on Isabella provided pain killers and spent an hour with him every day at his hotel. On Monday, an ambulance met him at the hotel and took him to the small Isabella airport, where he boarded for the island of Santa Cruz. At Santa Cruz and ambulance and a crew were waiting for him to take him to the hospital. When he decided, in spite of the X-ray result, to return home on Tuesday, he had to be taken from the hospital in Santa Cruz by boat to the Island of Baltra, where he would catch his flight to Guayaquil (Ecuador’s largest city) from whence he would take his American Airlines flight home to the States. All these services: the doctor’s fees, the medication, the X-ray, the overnight hospital stay in Santa Cruz and the ambulance services were paid for by the government of Ecuador. And when David was informed that policy did not allow him to use an ambulance to get from Santa Cruz to his flight to Guayaquil because he was not being transported to an Ecuadorian hospital, David contacted his best friend and chess rival on the Galapagos, whose brother was the head of tourism there, it was arranged for an exception be made for him. Otherwise he could not have made it home. This entire episode did not cost David a red cent! Now I want you to imagine an Ecuadorian tourist to the United States experiencing a similar traumatic accident and what they would have gone through and what it would have cost them. And tell me, which country is the Banana Republic and which the “civilized” nation. I experienced something similar in Cuba many years ago, but I will save that for another time. Posted by rogerhollander in Capitalism, Children, Health, Science and Technology. Roger’s note: Do we really need scientific studies to tell us that poverty is danger to the health of children? I post this article not to belabor the obvious, but rather to show how otherwise intelligent and accomplished academics and scientists will posit clearly inadequate solutions to enormous problems, while at the same time failing to understand (or wanting to understand?) to root cause of the problem and the solution implied by such. To address the deleterious effects of poverty on children’s brains, Dr. Luby suggests “early childhood interventions to support a nurturing environment for these children,” and “teaching nurturing skills to parents.” These are solutions that, while of some benefit IF implemented, would not begin to make a dent in the problem. I guess that Dr. Luby believes she has done enough and does not feel responsible for addressing the structural problem of poverty. Fair enough. But if science is to ultimately benefit human society, then as long as it ignores the elephant in the living room (capitalism), its service to human kind is severely truncated. Bottom line: poverty kills, unless we understand and work to eliminate the root cause of poverty, efforts at amelioration have little meaning in the long run. Low-income children have irregular brain development and lower standardized test scores, with as much as an estimated 20 percent gap in achievement explained by developmental lags in the frontal and temporal lobes of the brain. In her own research in young children living in poverty, Luby and her colleagues have identified changes in the brain’s architecture that can lead to lifelong problems with depression, learning difficulties and limitations in the ability to cope with stress. However, her work also shows that parents who are nurturing can offset some of the negative effects on brain anatomy seen in poor children. The findings suggest that teaching nurturing skills to parents — particularly those who live below the poverty line — may provide a lifetime of benefit for children. 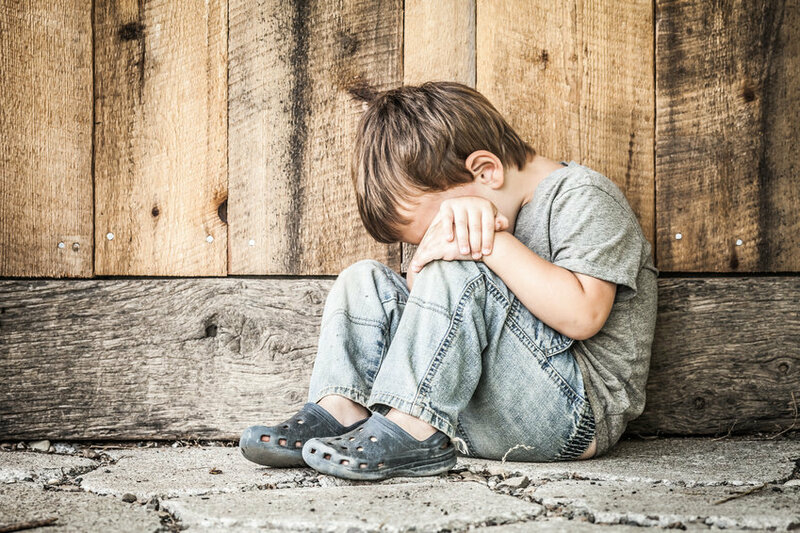 “Our research has shown that the effects of poverty on the developing brain, particularly in the hippocampus, are strongly influenced by parenting and life stresses experienced by the children,” said Luby, the Samuel and Mae S. Ludwig Professor of Child Psychiatry and director of Washington University’s Early Emotional Development Program. The study in JAMA Pediatrics, by a team of researchers at the University of Wisconsin-Madison, found that low-income children had irregular brain development and lower standardized test scores, with as much as an estimated 20 percent gap in achievement explained by developmental lags in the frontal and temporal lobes of the brain.